As dreadfully boring as I found “The Covenant,” and as impatient as I’ve been with season six on the whole, I’ve kept last season’s fourth episode at the top of my mind. Television shows get into a certain rhythm when breaking a season’s worth of stories, and the hope was that this year’s fourth episode would be what “Why Is This Night Different?” was to last season. (Or what “Game On” was to season three, or “About A Boy” was to season four.) Indeed, “A Flash Of Light” is that galvanizing episode, right down to the “unexpected” explosion that changes the trajectory of all the characters and heightens the stakes. 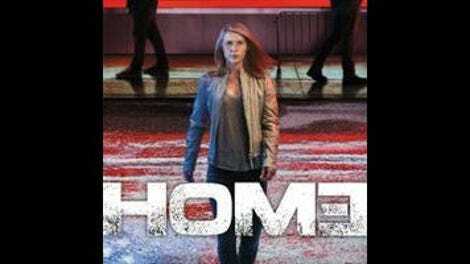 It feels all too familiar, like a color-by-numbers episode of post-Brody Homeland. But with so little in play, at least “Light” features a plot development I won’t have to be reminded of in next week’s “Previously on…” montage. Still, it’s pretty shocking how many elements “Light” has that call back to previous seasons but with less urgency and resonance. Carrie is still doing her work, which apparently consists only of working to acquit Sekou Bah. Quinn is off on his own, engaging in a mission more reckless and dangerous than his stoicism suggests. Dar Adal is being sneaky and conniving, as if his character exists less as an actual person than as a symbol of spy paranoia. Saul is traveling dark, Middle Eastern byways with a sack over his head, and sitting by himself in a room with Mossad agents as his babysitters. We’re still in the piece-moving phase of the season, so save for the tragic death of Sekou, not much comes of all the manuevering. Saul has an Iranian contact running down confirmation of the alleged parallel nuclear program with North Korea, and his relationship with Etai has soured now that Mossad knows about Saul’s midnight rendezvous. Quinn has confirmed that something odd is going on with the guy living across the street from Carrie’s house, and he doesn’t know much, but there appears to be some connection to Sekou. Dar Adal has officially made an enemy of President-Elect Keane, and he tips his hand to his knowledge of Carrie’s role in the incoming Keane administration. Sekou becomes the new Aayan, the latest example of a well-intentioned but dumb Muslim kid getting sucked into the world of terrorism and dying as a result. A large thing explodes and an appropriate amount of smoke results from said explosion. Even the most suspenseful portion of the episode doesn’t feel especially suspenseful. Sekou begins readjusting to his life after being released from prison, which is a lucky break, and everyone realizes it. These aren’t the kinds of charges that suddenly disappear on their own, so a couple of Sekou’s friends are convinced that he might have become a government informant, not unlike his betrayer, Saad. The accusation rattles Sekou, who shores up his radical cred by posting a brand new video in the same genre that won him the attention of the FBI. He later takes the video down, but it’s still the dumbest thing ever, and Sekou and Carrie’s conversation about her bona fides is one of the weirdest scenes this show has ever done. Maybe it’s because Sekou has been such an obnoxious character, but as soon as he jumps into his work van, it’s obviously a matter of time until he’s been vaporized. Last year’s fourth-episode explosion came as a genuine surprise, and came with the revelation of Allison’s double-dealing. Sekou’s death felt more like a relief than a shock. The only part of the season that feels genuinely fresh is the stuff with Keane, but so far that story hasn’t amounted to more than hushed discussions about Iran which, while provocative and timely, are also narratively inert. Showrunner Alex Gansa has prided himself on the show’s currency, often talking in interviews about the brain trust’s annual confab with intelligence insiders to get a feel for the zeitgeist. In past seasons, that groundwork has been elegantly woven into the storylines. This season, the research is in the foreground, and the dialogue sounds like entire chunks of the background interviews have been shoehorned into the characters’ mouths. Rather than the tense thriller it used to be, Homeland now plays like a dramatic adaptation of a Meet The Press roundtable. What saves “Light” is the potential it represents for the rest of the season. These first episodes have been slow and lumpy, but they have set up an interesting rift between the intelligence community and the incoming presidency that will be tested in interesting ways as the explosion is investigated and Keane has to figure out how an appropriate pre-inaugural response. Carrie and her work will be called directly into question since the kid she fought so hard to acquit is now the suspect in what will no doubt be viewed as an intentional suicide bombing by a known promoter of Islamist propaganda. There’s definitely some potential in that, given Carrie’s tendency to assign herself blame for these kinds of tragedies even when she’s not as culpable as she is here. All those ideas are kind of interesting, but I still can’t help but question the decision to move Carrie so far outside of the CIA’s orbit, especially if the ultimate plan was to lead up to a terrorist attack on domestic soil. 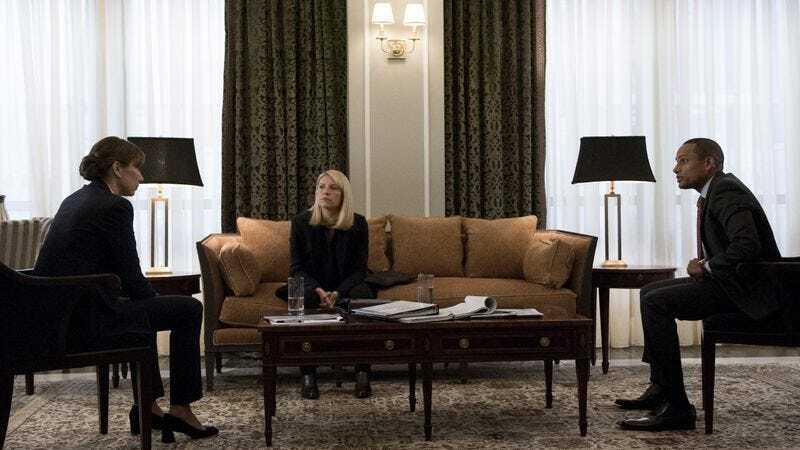 In a sense, it almost feels like Homeland is turning from a thriller that’s mostly about Carrie into a quieter ensemble drama about terrorism and issues facing the intelligence community, but without the white-knuckle pace of seasons past. That could potentially be a good show too, but it’ll be up to the next eight episodes to demonstrate it.